Russia cannot compel Iranian forces to quit Syria, Moscow’s ambassador to Tel Aviv said on Monday, rebuffing Israel’s long-standing demand that it should work to ensure their total withdrawal from the country. Ambassador Anatoly Viktorov said Moscow could equally do nothing to prevent IDF strikes against Iranian forces in Syria, which along with Russia and Tehran-backed Lebanese militias are supporting President Bashar al-Assad in combating rebel fighters. With Assad now in almost complete control of southwestern areas abutting the Israeli side of the Golan Heights, Viktorov told Israel’s Channel 10 in an interview that only Syrian army troops should be deployed there. 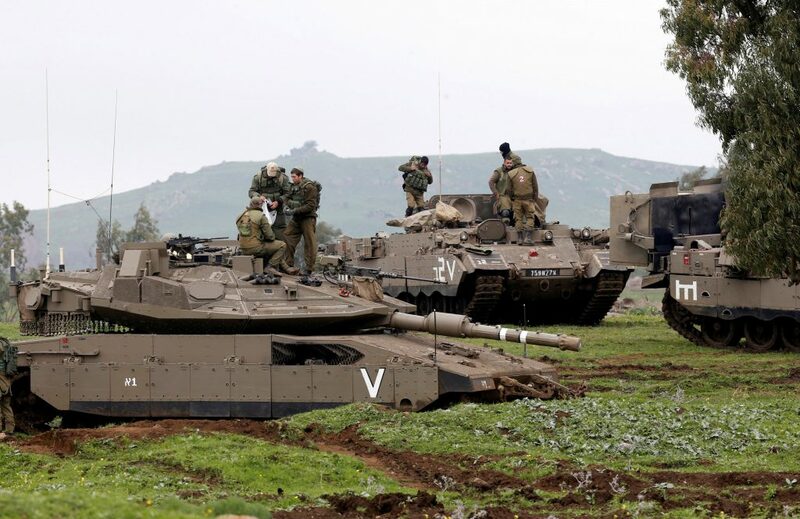 Last week an Israeli official said Russia had offered to keep Iranian forces at least 60 miles from the Golan Heights ceasefire line. The offer came up during a meeting between Prime Minister Binyamin Netanyahu and visiting Russian Foreign Minister Sergei Lavrov, but Israel rejected it as insufficient, the official said. Viktorov defended the Iranians’ presence in Syria. “They are playing a very, very important role in our common and joint effort to eliminate terrorists in Syria. That is why, for this period of time, we see as non-realistic any demands to expel any foreign troops from the entirety of the Syrian Arab Republic,” he said. While formally neutral in the seven-year-old civil war next door, Israel has carried out scores of air strikes against suspected emplacements or arms transfers by Iranian or Lebanese Hezbollah guerrillas in Syria, apparently unimpeded by the Russian defence systems deployed there. A military hotline Israel and Russia set up in 2015 has also helped to the countries avoid inadvertently clashing over Syria.